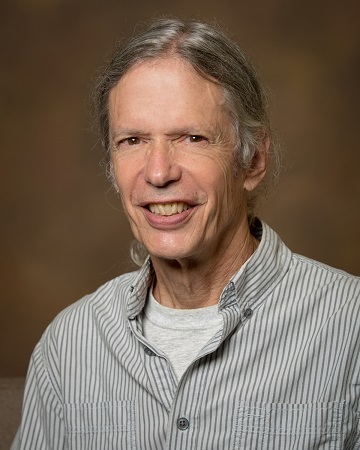 This academic webinar was presented by Robert Press, associate professor of political science at the University of Southern Mississippi. He is also the author of “The New Africa: Dispatches from a Changing Continent,” published in 1999 by the University Press of Florida. This book was cited as one of the best 40 books published by any university press in the United States in 1999-2000. He also authored “Peaceful Resistance: Advancing Human Rights and Democratic Freedom,” which was published by Ashgate in the United Kingdom in 2006. This webinar will present the findings of the newly published book Ripples of Hope: How Ordinary People Resist Repression Without Violence. Amsterdam University Press 2015 that focuses on nonviolent resistance in challenging repressive regimes in Africa. The webinar presentation will include discussion of how ordinary people wage civil resistance in Sierra Leone, Liberia and Kenya from the 1970s through the 1990s. Unlike more recent struggles in the Arab world, civil resistance in the analyzed case studies occurred before the use of Facebook and Twitter. Activists stayed in touch through informal channels. External forces such as international pressures, or sometimes military intervention played an important part in the regime changes. But without the organized nonviolent grassroots pressure, it is unlikely that change would have come as soon as it did. The webinar will present the analytical framework for understanding civil resistance in the repressive settings, will discuss in details individual and small groups’ acts of resistance where, given the risks, hardly any opposition was expected and reflect on challenges and opportunities of doing research on civil resistance in Africa. Participant’s Question: In Liberia, I would like to know more about the women’s action forcing the government and the armed opposition to negotiate a peaceful agreement. What more can you tell us than what was in the film, Pray the Devil Back to Hell? Is what the women did in Liberia applicable to what women could do in other conflict or war zones? Robert Press: There were two women’s’ peace movements. The Liberian Women’s Initiative began in 1994 with Mary Brownell and other Christian and Muslim women, rich and poor. Their story has been overlooked, especially with the attention to Leymah Gbowee who deservedly won the Nobel Peace Prize, representing the second women’s movement which was most active in 2003. Activists in both movements attended peace conferences, talked to delegates, stressed the pain and suffering of women and children due to the war. Is what they did applicable in other conflict and war zones? Yes, I believe it is but not in all cases. Syria’s peaceful protests were soon overwhelmed by war except for occasional brief marches. But the power of women in civil resistance is big and there is plenty more to explore about it. Participant’s Question: What are the key criteria that seem to make these movements work in repressive regimes compared to those that are not as successful? Robert Press: That’s a tough question because for the most part I have not studied failed civil resistance cases. But within the scope of my cases studies, the failure of students at Fourah Bay College in 1976 to turn their campus revolt into a regime-toppling movement stemmed in part from their failure to win the support of organized labor. At the time, organized labor was heavily influenced by the regime; later when they did go on a national strike, university students failed to support them. The lesson I and many of my interviewees draw from that is that coalition-building is critical for major impact. I would add another aspect to civil resistance successful movements: commitment of the participants for change. If the goal is regime reform, there may well be differences over which reforms are needed. If the goal is regime change, there is little to divide activists and supporters: they simply want to get rid of the regime. Violence, one might assume, would prevent some movements from succeeding, but that was not the case in Taylor’s Liberia; it was under Doe, whose violence helped him stay in power a decade until murdered by a splinter rebel group. Ripples of Hope makes a pretty strong argument that movement can succeed without one of the conditions often considered necessary for success of a civil resistance movement – favorable structural conditions/opportunities. Activists in these cases made up for lack of material ‘resources’ with their own commitment, passion, emotions, ideas, strategies – non-material ‘resources. Gene Sharp, quoted in Ripples of Hope, provides many very good examples of how civil resistance works. One omission in his arguments, however, is his insistence that movements succeed with a “wisely prepared grand strategy” (2005, p. 48). That kind of planning no doubt would be useful, but it certainly is not the only factor that helps a movement to succeed. Part of what I document is the lack of a ‘grand strategy.’ Often things were fairly spontaneous; or when an event such as a march was planned, there may not have been a strategy for a follow-up event or actions. The ‘actors’ or participants come from various backgrounds, including professional, and tended to dip in and out of activism; often the activism was not coordinated in an significant way. Participant’s Question: I don’t know how much connection you still have with Sierra Leone? But Sierra Leone is experiencing the politics of the 1980s-90s history repeating itself. However, what is missing is the individual (formal) activism that you described in your presentation, which I agree with you that can contribute greatly to change we seek. I would like to learn what has changed over the years? And why are we not seeing this kind of activism anymore? Robert Press: You raise a very good point. I was criticized in a review by a Kenyan for not highlighting more the failure of some former activists to stay true to their previous lofty goals. Some activists in Liberia, Sierra Leone, and Kenya, later turn out to be less than angels. They get tired; they get ambitious; they may feel life owes them something for their bravery. It is good to remember that activists are not saints, brave as they may have been. It is also worth noting that while some fade back into their normal professions, others continue as activists in various programs. But the questioner asks why there is less activism in Sierra Leone today. You could ask the same thing of Liberia and Kenya. It might be due to the success of the previous movements: they won significant changes: in all three cases democratic elections followed a long period of activism. Democratic elections don’t eliminate the underlying economic, social, and political tensions of societies once ruled by repression, however. The same tensions and needs persist. One hopes that the channels for addressing those needs is more democratic after the elections. But I believe the key reason there is less activism is that the goal of a movement shifts after an election to regime reform and no longer regime change. There is no longer a central issue pulling disparate activist groups together. Ethnicity, religion, economic differences pull people in different directions; they no longer unite around a single goal of regime change. Also, after a successful movement wins major change, such as regime change, protests grow: everyone seems to be out protesting, usually without violence. Activism becomes popular – and disparate, divided for a multitude of causes. One of the best ways for a ‘democratic’ regime to let off steam and prevent a buildup of opposition is to allow freedom of speech, or at least allow much more than previously. So the voices of civil resistance become muffled by – other voices of civil resistance, each calling for their own objectives. People get used to protest; regimes absorb the criticism because it doesn’t diminish their power. Only occasionally is there enough unity among the activists to present something close to a challenge to the regime’s power. Participant’s Question: Thanks for your interesting webinar. Last week I met here in Brussels with a young activist from the eastern DRC (Goma, North Kivu) who said that his group did not want to become a formal organization but just continue nonviolent resistance against a repressive regime and different militia groups. He was somewhat disappointed in the formal NGOs and civil society because they could not change the regime after so many years of peace negotiations and peace agreements in Congo. Robert Press: I can understand the frustration of the young DRC activist. When I began my study of Kenya I thought NGOs were the key to political change: they are not. Usually they can’t agree on a single goal such as regime change, answer to donors’ bidding, and are by nature often too bureaucratic. Much of the conflict in the North Kivu area, as you know, takes place in rural areas where there is less of a presence of activist groups. The brutal nature of the war makes civil resistance dangerous. Unlike their counterparts in urban centers who have a relatively safe place from which to operate and have the benefit of city infrastructure including access to mass publication and distribution, the ability to gather people for marches, etc., rural would-be activists are much more vulnerable. I believe it will take more creative and non-traditional civil resistance tactics to help return that region to peace and stability. I refer you to the International Center for non-violent Conflict for examples of this kind of civil resistance. It is not something I have studied, though in my three case studies, I heard about some civil resistance in rural areas and would love to go back and study it. Participant’s Question: What support/solidarity if any did internationals groups provide in these cases and was it helpful? Robert Press: As I point out in Ripples of Hope, international groups were important and helpful. I argue that they were not critical factors, however, except in the obvious cases of international military intervention in Sierra Leone to end the long civil war. And if one considers that some of the rebel groups in Liberia had foreign connections that was important toward the end of the Taylor regime. An international indictment also diminished Taylor’s legitimacy just as rebels were again threatening his base in Monrovia. In Kenya donors played a role, but a turkey one in my view (and that of scholar Stephen Brown): they were not united, for one thing. In all three cases, I argue that domestic civil resistance was the most critical force at play, minus the military battles. This goes against quantitative studies that find correlations between international actions and domestic activism. But for the most part it is a case of qualitative research on the ground, mostly interviews in these cases, revealing the dynamics of the resistance and how the regimes were challenged by it. Participant’s Question: What were the main challenges in conducting your research? Were you yourself well-perceived as a researcher, or did you face distrust? Robert Press: Good question. My rule, as a former journalist, is also identify yourself accurately and fully and explain why you are asking questions and what you intend to do with the information. Happily, I was not perceived as anything but what I am, a research scholar. I had the advantage of having lived in Kenya eight years as a journalist for The Christian Science Monitor and having been, briefly, to Liberia on reporting assignments. I am very much at ease and ‘at home’ in Africa; and I am very serious about my interviews and approach them with at least some prior knowledge. By using the ‘snow-ball’ method of asking initial interviewees for names of other former activists, I was able to arrive at most interviews with some prior knowledge of them and of the history of the period I was asking them about. I believe this confidence and knowledge helped convince interviewees that I was a serious scholar and worth spending some time with. I never took sides over issues of contention. I rarely talked with one interviewee about what others had said in order to encourage candidness, even though in all but a few cases the interviews were taped and they signed permission to publish them. I am having trouble being accepted as a scholar in my new research project: African migration to Italy/Europe. Despite my Africa background, which certainly helps, newly-arrived migrants are understandably reluctant to tell their ‘story,’ the reasons why they came – until they have their asylum documents. But I have been able to get interviews, just not as many as I would like. Participant’s Question: Can you please give an example of what really worked with regard to having one single system? Robert Press: I am not clear on what the question is: ‘one single system?’ The three cases studies reveal a variety of tactics, actors, and sometime strategies. But there was no ‘single system’ of civil resistance; on the contrary, the methods varied within each country. But, something I really didn’t pursue, there were numerous commonalities in the activism in all three countries. 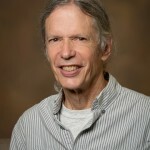 Robert Press is an associate professor of political science at the University of Southern Mississippi. He is also the author of The New Africa: Dispatches from a Changing Continent, published in 1999 by the University Press of Florida in 1999 and cited as one of the best 40 books published by any university press in the United States in 1999-2000; and Peaceful Resistance: Advancing Human Rights and Democratic Freedom, published by Ashgate in the U.K. in 2006. Previously he was a correspondent for The Christian Science Monitor, based in Kenya for eight years, covering much of East and West Africa. It was during his travels reporting around sub-Sahara Africa that he first became aware of and met many of the people engaged in nonviolent resistance against non-democratic regimes. Prior to that he worked for the U.S. Agency for International Development in Morocco and Tanzania. After that he and his wife, Betty, hitchhiked and flew around the world for two years. He was a Visiting Professor at Principia College in Elsah, Illinois and an Adjunct Professor at Stetson University, in DeLand, Florida.